Using forensic archeology and chemical analysis of real human remains (eep!) this site examines migration in the Roman world. 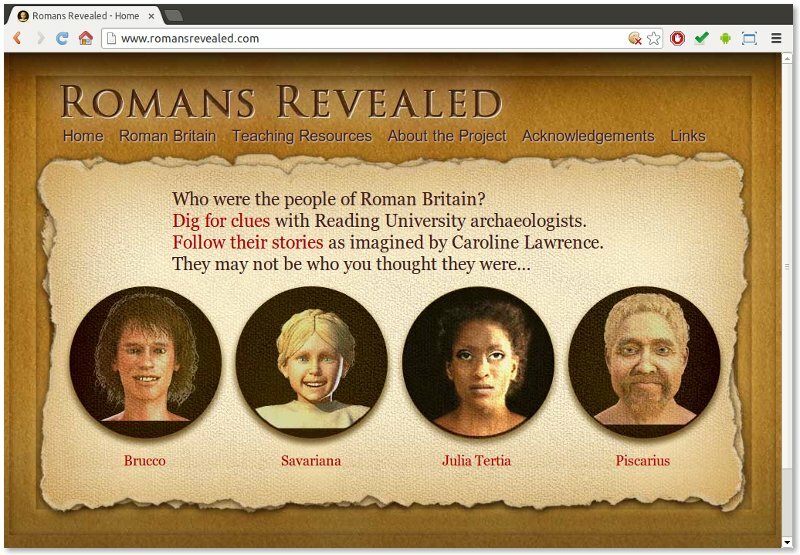 The project was undertaken by the University of Reading and the Runnymede Trust, and just to make it even better we managed to get Caroline Lawrence, author of the Roman Mysteries series of books to create some stories based around the scientifc evidence. We produced video and audio recordings of the scientists explaining their investigations to use across the website as well as presenting great photographs and illustration of the artifacts. One unusual technical aspect of the site is that it is targeted specifically for use on white boards in schools. This introduces some interesting challenges in user interface design since we have to make sure that the navigation is accessible by all users. Handily though this is something we have a great deal of experience in.